The Olympic Stadium of Helsinki is the most famous sports facility in Finland and a prime example of Finnish modern architecture. The beautiful functionalist building was inaugurated in 1938. The outlook of the Olympic Stadium has changed considerably during the decades, but the building has always retained its symbolic value. 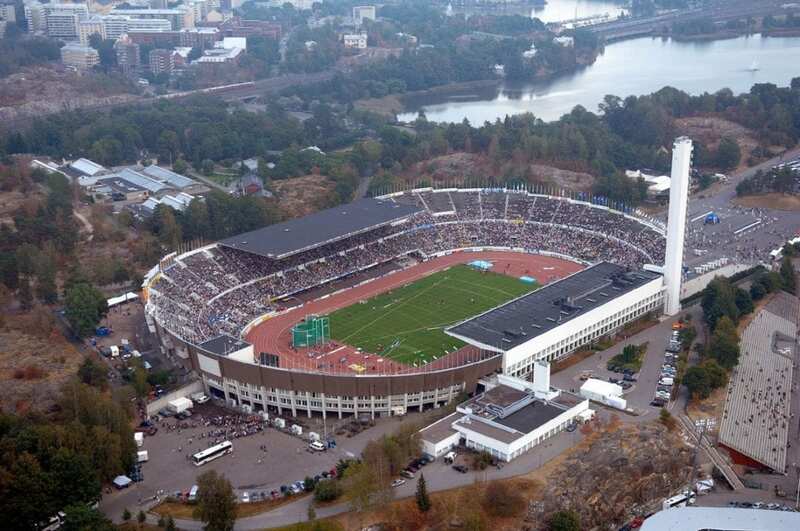 The Olympic Stadium is the most important venue for track and field sports in Finland. It has a unique history in hosting major international championship events. In addition to the 1952 Olympic Games the Helsinki Olympic Stadium has served as the venue for two World Athletics Championships (1983 and 2005) and three European Championships (1971, 1994 and 2012). Even if the Olympic Stadium is best known for track and field sports and football, over the years it has hosted competitions in more than 20 different sports. As the largest outdoor arena in Finland the Stadium is also a preferred venue for major concerts. The versatile indoor facilities of the Olympic Stadium are available for all in the winter. The exhibition was created in co-operation with the Stadium Foundation.